Hey Trekkers! Have you tasted Kellog's Gornflakes yet? 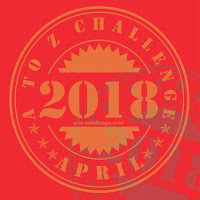 The original and best, So lets put this to the test. Heres Captain Kirk's crew on the track of trek's top secret ingredients. Good grief, now Captain Gorn wants in on the action! But where is this planet? Rich roasted, saurian flavoured Gornflakes yielding the powers of Star Trek Discovery, Yesss!. So sit back and geek out in typical alien tradition. Its time for decision! 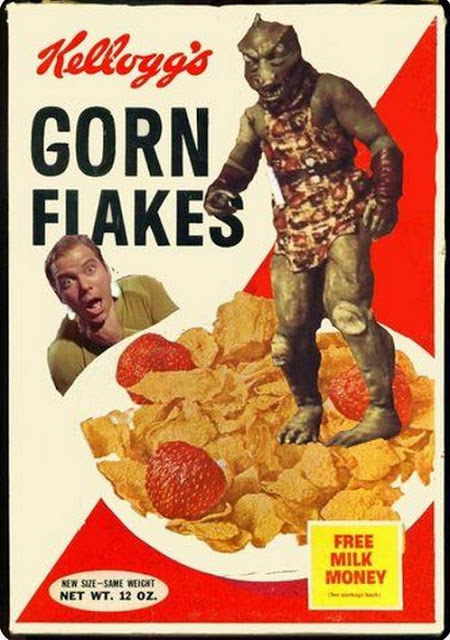 Just remember, take it easy and enjoy Kellog's Gornflakes! Is that box new? I need to look for it. Like Spacer Guy said, Kellogg's could go all retro. I'm much more apt to eat Odo Puffs! 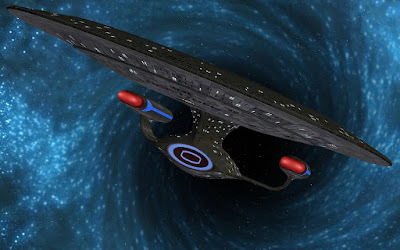 WILL STAR TREK REBOOT DEEP SPACE 9?